Good morning everyone and welcome to the Clearly Inspired Challenge on Lori McCroskey's blog..... today the challenge is to use ribbon. 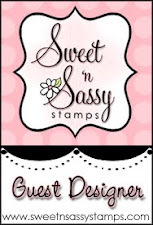 Use Clear Dollar Stamps if you have them, if not, please play anyway....we would love to see your designs!!! A random winner will be chosen the following Thursday. Upload your cards to Mr. Linky on Lori's blog and if you upload to Splitcoast, use CIC12 in the keywords. The butterfly from Clear Dollar Stamps Peace for the Journey set was stamped 3 times with Apricot Appeal on white cardstock, cutout, and layered with dimensionals. The antennas were drawn on and the sentiment from the same set was stamped with Memento Tuxedo Black. A Spellbinders die was used for the scalloped border and the Cotton Candy ribbon and lavender pearls added to the flower centers on the Basic Grey Kioshi paper finish it off. 3. 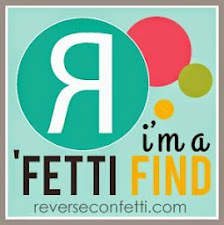 Fab 'n' Funky Challenge - get it all out. I used my lavender pearls that I've had for over a year! 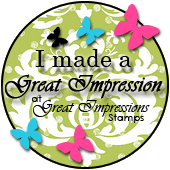 Thanks for visiting today...be sure to check out Lori's blog, Clearly iStamp for the DT's samples and all the deets on the challenge!!! Joan, this card is fantastic!!! Wow. It's so soft and pretty. I love it!! Beautiful Card Joan... its so elegant and I love the colors. Oh this is such a beauty Joan. Wow. 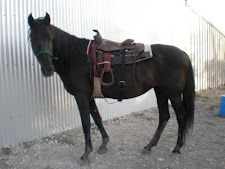 I could hardly take my off it to come leave you a comment. So so so pretty. Wow. What a pretty card. A challenge to use ribbon... how wonderful!! Oh my! I love the colors of this card! It is just so pretty it makes me happy! This is stunning Joan!! I just love the apricot appeal and the sheer elegance!! The butterfly is gorgeous as are all the pearls. Have a great weekend! This is so pretty Joan.. I love that paper. It is beautiful. Adding the butterfly adds to the elegance.. Great job. Joan, this is so beautiful! I absolutely love the pearls throughout the flowers! Oh, Joan, how I love this card! The colors are dynamite and I love the bow, your pop up butterflies, pearls -- all of it!! Thanks for participating in the Creative Belli Challenge. beautiful card Joan, pretty colour palette and that butterfly is fab. Thanks for playing along at Magical Crafts. This is absolutely gorgeous, Joan! I love the color combination, and those butterflies are divine! This is truly gorgeous, Joan!! Such a breath of spring. Love the BG Kioshi paper, this is right up my alley! Beautiful Joan, absolutely beautiful!! Your butterfly is remarkable, looks like it's ready to fly off the card. It's beautiful layering and the colors are so stunning! So soft, sweet and elegant Joan!! LOVE the lavender with the pale orange!! Beautiful!! What a soft and romantic card Joan! Such beautiful colors too! Just wonderful! 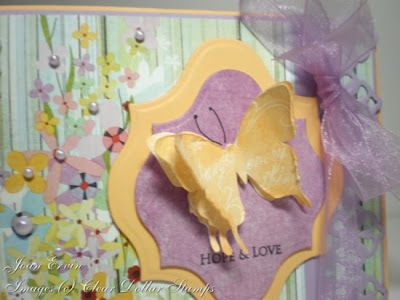 I love the apricot and lavendar together...and your layered butterfly is so pretty!! Wow...multi-challenge card!! Way to go, Joan!! Lovely card!! Thank you SO MUCH for sharing your card with us this week at La-La Land Crafts!! 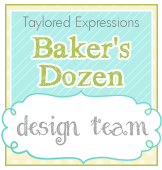 Rubbernecker April Release Blog Hop! !